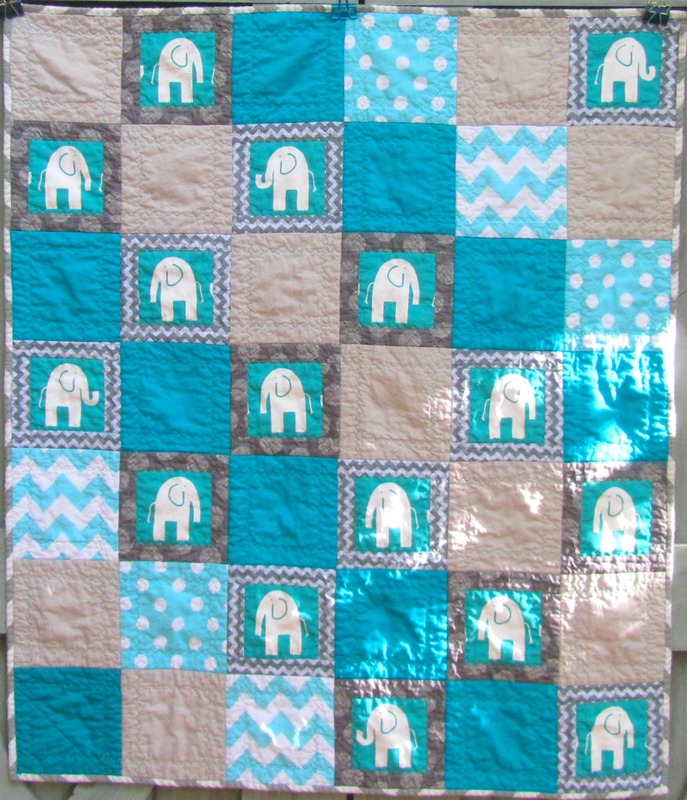 This fun little quilt was commissioned, based on a quilt I made in January. It makes up very quickly and is super simple sewing. 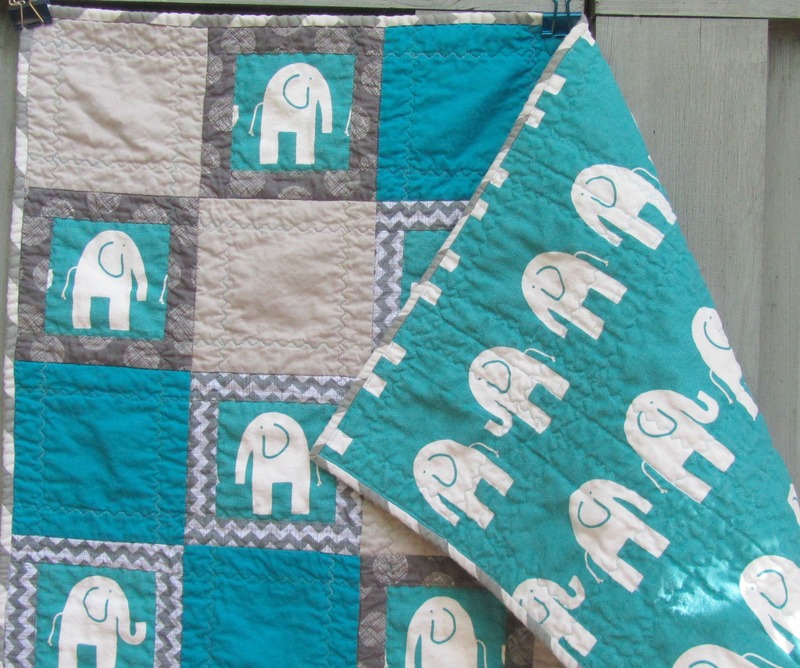 I can no longer find the original elephant fabric to purchase, so we agreed on this one, in which the light and dark is reversed (cuter print, too, I think!). That necessitated a little redesign so the colors would look good together. The elephant print is on home dec fabric, so it makes an interesting combination of textures with the soft Konas and prints. I quilted this entirely with the walking foot. I first stitched in the ditch between all the blocks with silver Bottom Line on top and a teal Masterpiece (because I didn’t have teal BL) on the bottom. Then I switched to a variegated Coats and Clarks that I used to sew a serpentine stitch along all the seam lines, crossing through the plain blocks. I finished with nine inches of thread left from that spool! I used a few inches of large-scale chevrons for the binding. 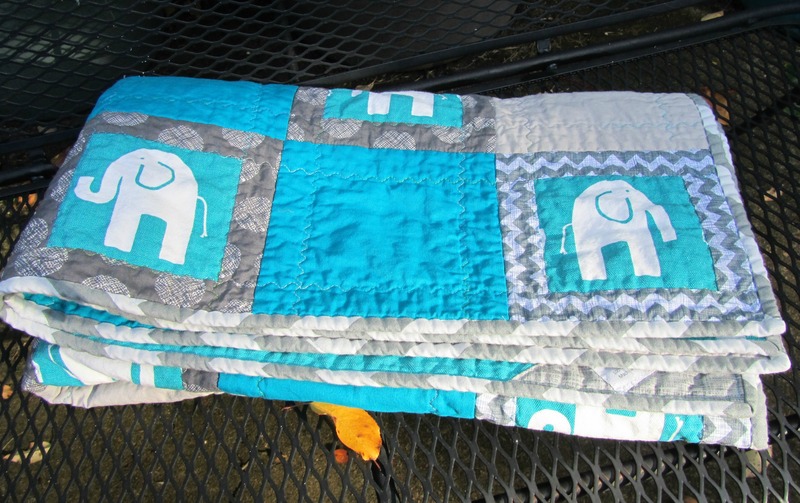 This quilt is now winging it’s way to Texas. 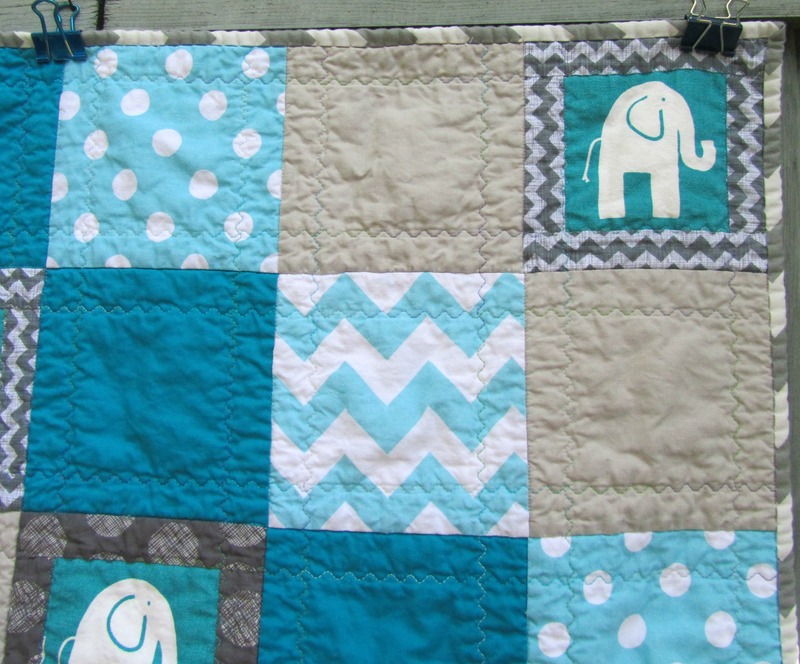 I’m linking up to Michelle’s Let’s Make Baby Quilts. 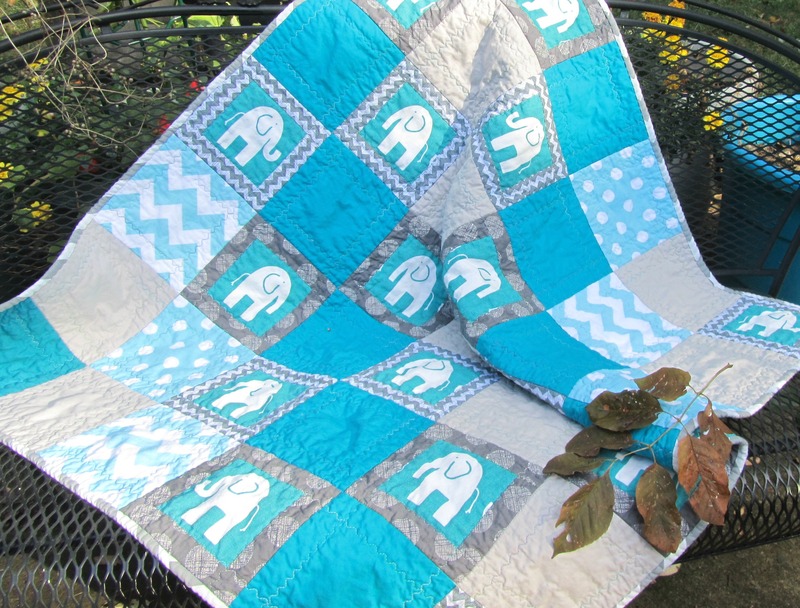 Categories: Finishes | Tags: baby quilt, elephants, Evening in the Garden, superior thread, Valerie Root | Permalink.